Biologist Dr. Arthur Popper’s career spans decades, from his early work on comparative inner ear morphology in fishes to his recent interest in how underwater noise impacts aquatic vertebrates. Along the way Dr. Popper’s research subjects span at least 19 vertebrate taxa, from lamprey to lungfish to humans, and he’s had a profound influence in the field of fish bioacoustics. 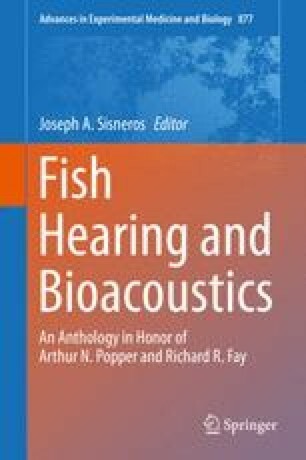 This brief biography describes some of Dr. Popper’s many contributions to fish hearing research and highlights both some of his major discoveries and some of the biological mysteries he has yet to solve.